Been there, done that. Being an artist can be hard enough without having to navigate the stressful nuances of having your awesome designs cast for you. We have been through it all already, so come on in and riff off our experience, skills and techniques to make your designs an affordable reality. From prototyping to full production, whether you are an emerging artist, experienced veteran or gallery owner looking for exclusive designs, we have you covered. We hearken back to the days when “handcrafted” represented the finest in quality. 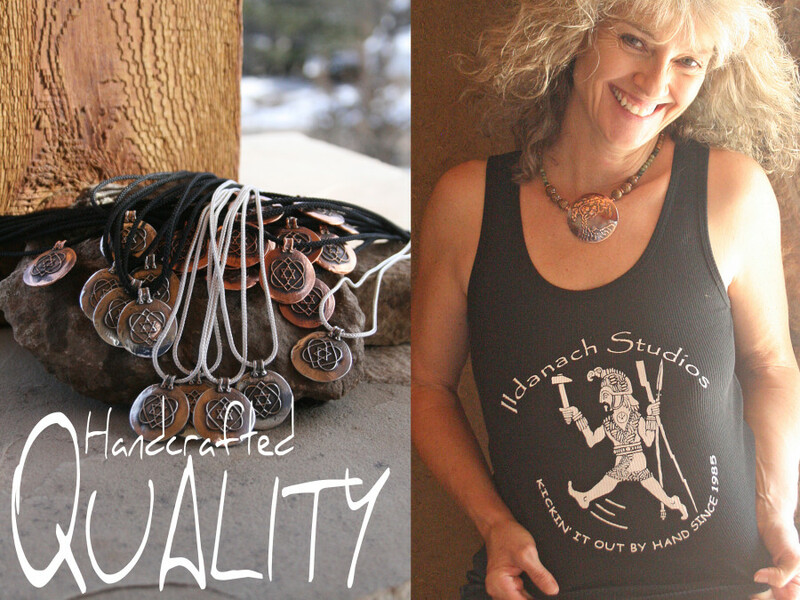 Contemporary or rustic, whether you make your master design or we do for you, you can rest assured the award-winning metalsmiths at Ildanach Studios will produce your pieces with hand made quality, detail and craftsmanship. Place your maker’s mark on pieces with pride and confidence…cool! 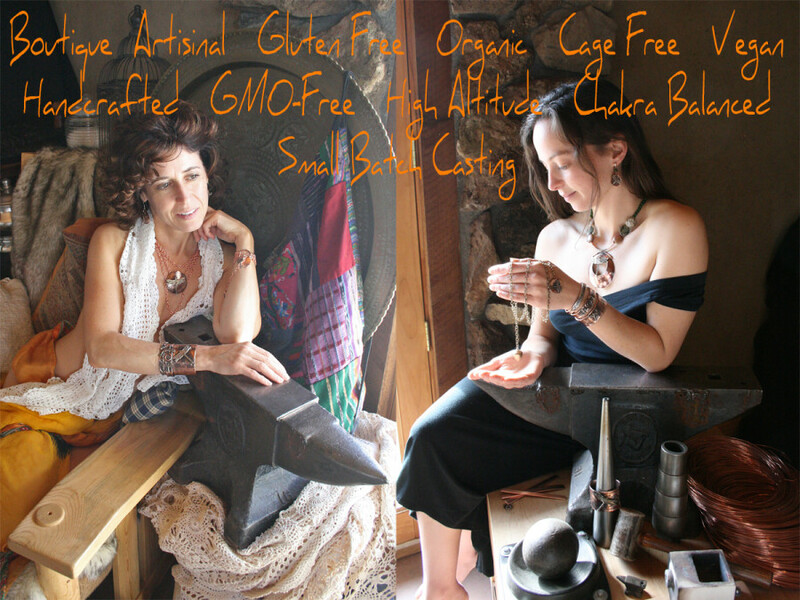 As fellow artists with a jewelry line and one-of-a-kind works of our own, we understand the need for reasonable turn around on orders. For our jewelry line our gallery patrons expect a reasonable turn around, and we promise them 2-3 weeks. Since we have brought casting in-house, we have been able to meet this standard and dropped back-orders to 0%. 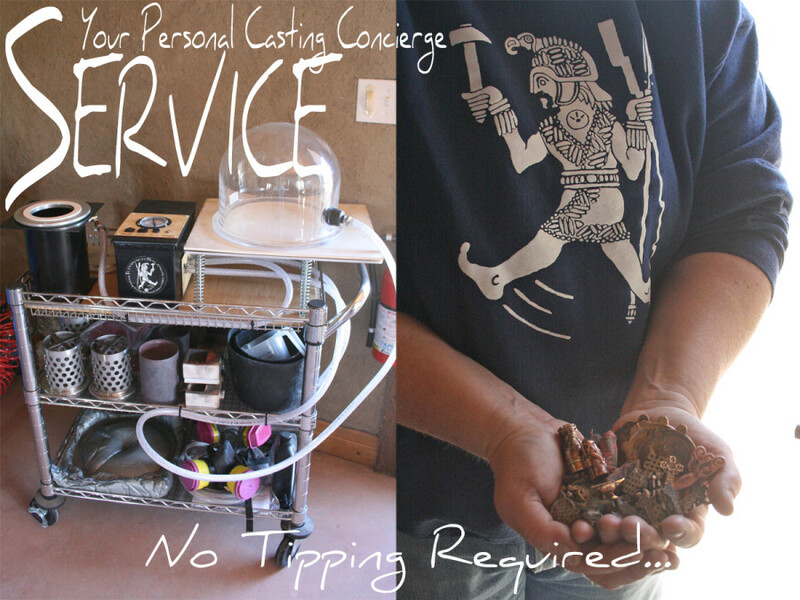 The small batch casting concept allows us to cast in a reasonable amount of time for you as well. 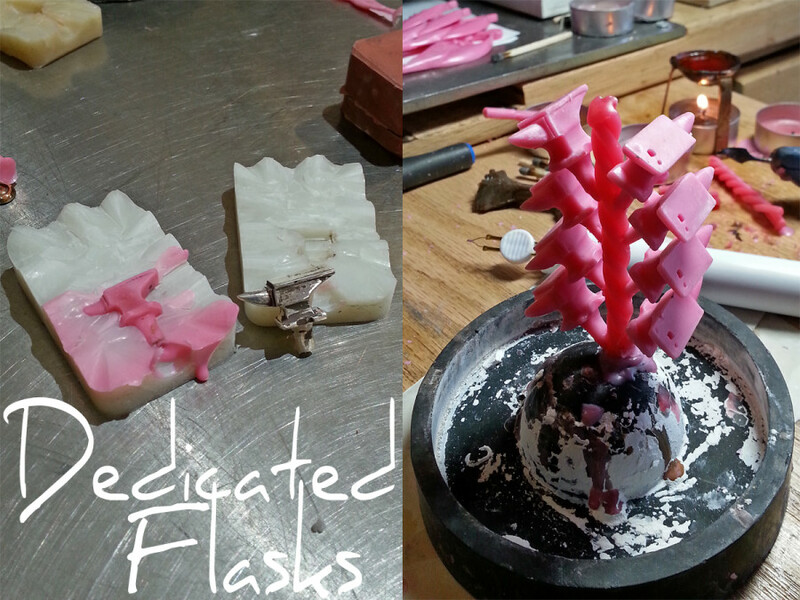 You get a dedicated flask for your pieces rather than having to wait to fit them in a flask with hundreds of other pieces. Reasonable turn around time…nice! The metals and jewelry industry has done a good job with perceived quality. 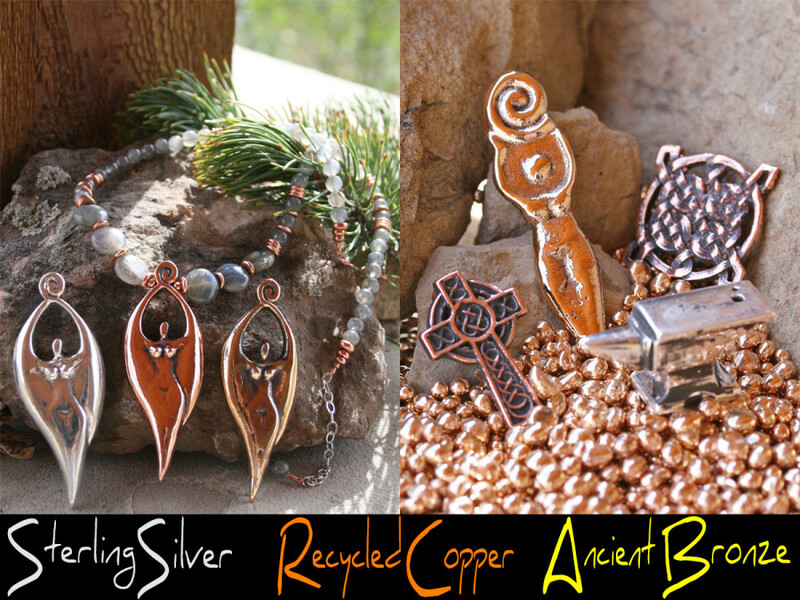 Copper is cheap, silver is tribal, gold is traditional, platinum is chic. On the renegade side of things, we believe quality should be an outcome of your artistry, not solely the material, industry “standard” or corporate marketed perception. Copper can be as chic as platinum for example. With quality assured in our craftsmanship, your cost is freed to be based on reality not perception. Keep your eye on the metals market. When you place your order, we will lock in the price based on the market and fabrication cost—that’s it. We don’t mark up the metal cost to make a profit. 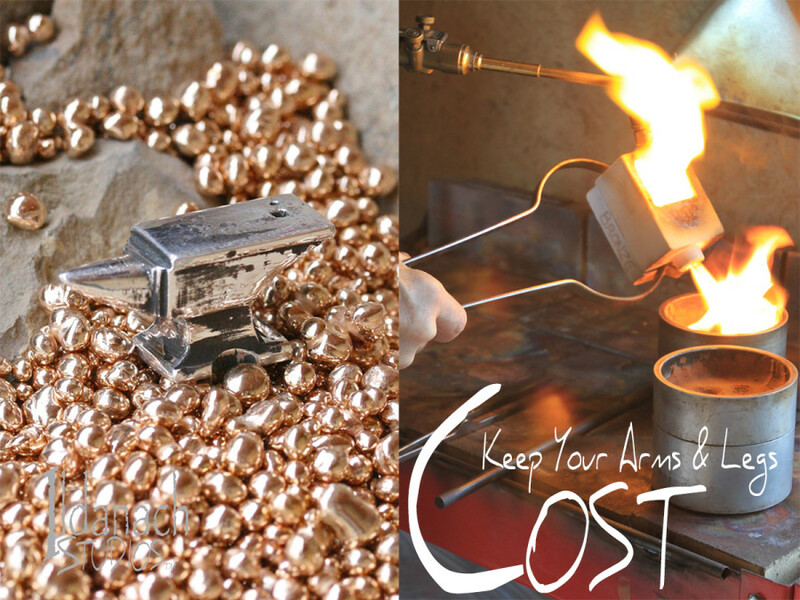 Our cost of metal is your cost…who’da thunk it! Concept to Cast and more is available. From your design on a napkin to a finished piece to value-added products—we have your back from start to finish and everything in between. We will work with you at every stage you need and stay out of your way when you don’t. What is more, you only pay for the process stages you need with no hidden costs. Using our more than 30 years of award-winning experience, we empower you to think ahead and complete a project with all the details covered. Ducks in a row…awesome! These aspects of your business matter to you as an artist, why shouldn’t they concern your casting company? When a big company casts 100’s or 1000’s of pieces to Industry Standards in the name of “lower cost”, Quality, Time and Service suffer while Hidden Costs often raise your final price over what you were promised. Reality can certainly bite, so keep your eyes open to what your casting company really charges in terms of cost, your time and your stress. Quality, like marketing, touches all aspects of your art as a business. From the obvious perceived quality associated with your pricing to impact on show juries, marketing and promotion, clear to quality control and customer service. It is that design aspect on which no artist’s work can afford to skimp. 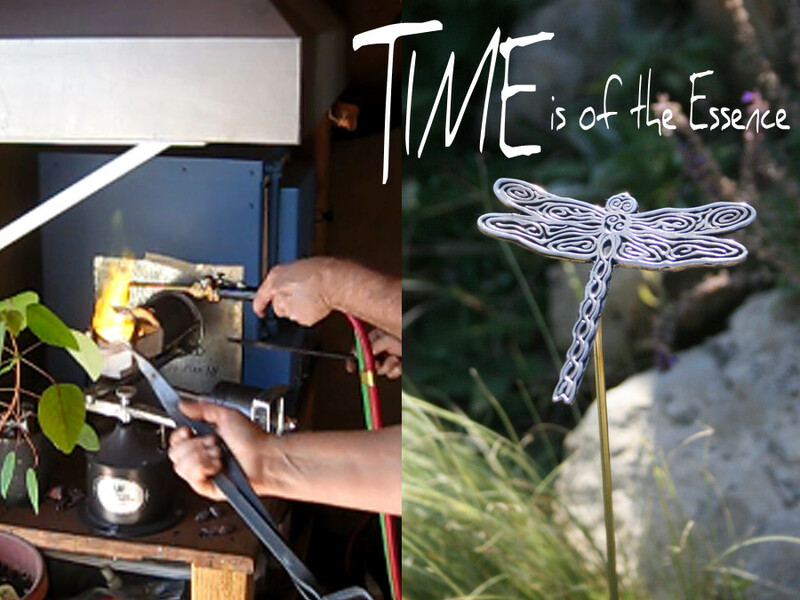 As an Art Studio, our In-House casting reflects a demand for perfection. Higher attention to detail and responsible metal content help achieve this. Alloy content is not only a sign of quality, it is a sign of safety—aspects you are able to market to your customers with confidence. Sterling Silver: Our .925 American-sourced Sterling is reclaimed from the photography and high-tech industry uses. Free of lead and nickel alloy content, you are guaranteed content source and able to stamp your work with the .925 source mark. 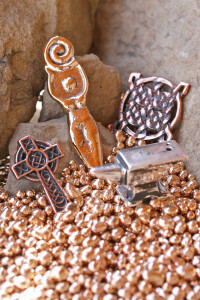 Ancient Bronze: Our 85% Copper 15% Tin bronze is the real thing. Historically accurate for Bronze Age and Historical casting, it is strong, casts clean, soldiers easily and patinas well. It is a good base when you choose to plate as well. For a close to gold look, free of lead, nickel, zinc and other “additives” meant to make other bronzes cast easier, our bronze can be worn on the skin without worrying about allergies¹. Recycled Copper: Our Copper is 99.9% pure and is 100% post consumer recycled. 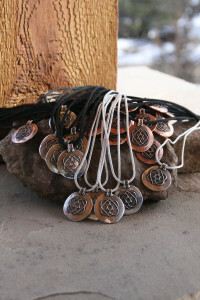 Our copper is sourced from our own Studio and our recycled copper jewelry line. 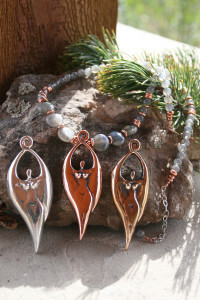 While copper is a bit harder to cast, it is strong, soldiers easily and patinas beautifully. 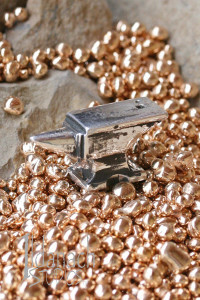 Free of lead, nickel and other contaminants, our copper may be used therapeutically. 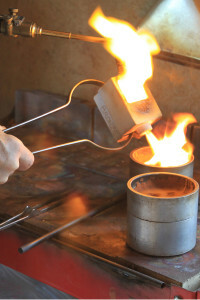 Other Metals: We do cast in gold and fine silver as well. 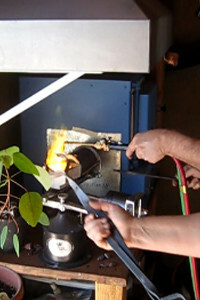 Small Batch casting not only makes higher quality control possible, it makes it cost effective. And whether you choose to have your pieces finished and ready for assembly or simply cast and clipped, you know your work is being created by fellow, American artists. Your time is of the essence. Production time is an important aspect of a business relationship. You should be able to rely on your order shipping when promised. As well, we believe you should be able to rely on reasonable production times. 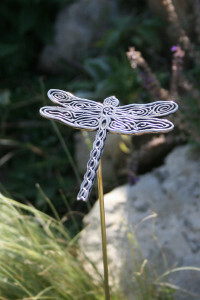 Small batch casting makes this possible by not having to “fit your order in” to a large-scale casting schedule and larger orders taking precedence. When we have your design mold in hand, your order will ship in a reasonable amount of time and your ship date will be locked in—our business model and mission statement makes it that simple. Depending on the number of pieces, if we have your mold in-house already, you could have your emergency pieces in as little as 72 hours² and normal orders in 2-3 weeks. Time is also a factor for creation of your product line. You may need anything or everything from development of a design idea, to creating that design in a master matrix, casting a master and/or prototype and making a mold for production. We are here to help with our award-winning design team and the ability to turn around Concept to Cast reasonably. No hidden costs. You will know what you are paying up front. We have taken a great deal of time to find out the exact costs for our in-house casting, and we use this same care to price your components cost-effectively. Doesn’t Small Batch Casting cost more? Compare. We believe when you compare and contrast our up-front pricing with the time delays, hidden costs, headaches, cost of your time and over-all liability with that of large-batch companies, you will find our prices competitive. You do not have to gamble. The only variable is the metals market so why should you have to pay $25/ounce for silver if the market has dropped to $22? We lock in the current metal market price when you order, each time you order, it’s that simple. Compare this to larger companies who have to guesstimate metal costs and therefore charge metal prices as much as 30% above the current market or quote your pricing based on a high-cost market. A rising tide raises all ships.³ This adage is true when we all see artists as a Community rather than competition. With this in mind, part of Ildanach Studios’ mission statement is to uplift fellow artists and mentor emerging artists. Have a question? We will not only do our best to answer it, we are here as a source for design and advice based on years of experience in the trenches. Whether you are coming from an academic background and need real world foresight into casting nuances, self-trained and need tips on casting designs with comfort in mind or classically trained and are stumped by mechanical components in cast pieces, there is no such thing as a silly question. In short, we are here to help—no tipping required. ² “Emergency” shipping times require a mold in-house at Ildanach Studios. 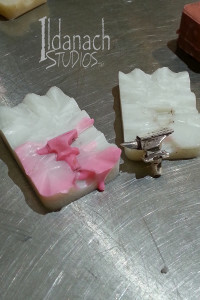 Which would require either you sending us a working mold which fits our system, or your design having already gone through the master process to create the master, cast the master, make the mold for production and have that mold stored at Ildanach Studios. With an emergency designation, your order then becomes reliant on shipping method chosen. ³Often attributed to John F. Kennedy, though original source unknown. Your specific design may vary—you might complete some steps in your own studio for example, but the general way in which you reach your finished product with Ildanach Studios has been designed to be as efficient and stress-free as possible. The process drives the outcome and cost of your piece(s). We will work closely with you to determine exactly what you need. We will then quote you a package price only for the parts of the process you need. Prototype to a full Line, no worries. If you wish to use our small-batch casting services as your main casting service, your package will also include storage of any molds and masters—at no cost. 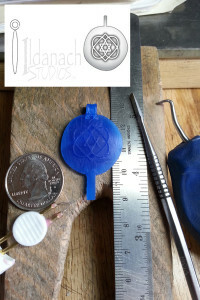 You retain ownership of your master and molds, but by having the molds for your product(s) at Ildanach Studios, we are ready to begin your re-order as soon as you place it. Packages may be tweaked or changed each time you re-order for up to the moment necessities. We make to order. When you need product, we will get your order on the schedule. For reorders, please allow for the reasonable production time of the original order in addition to shipping time. Design, creating the master and any molds takes extra time—though typically only 2-3 weeks. Overall: We create a free estimate of cost based on your design and production needs. This way, you will have an idea up front of your project’s general cost. With your go-ahead, we will then create the master wax, which will tell us the exact cost. With the wax weight, we can give you a finished quote, lock in the metal cost and give you a completion date. Concept to Design: Your design can be sent to Ildanach Studios as a vector, jpeg, png, bitmap or napkin image. Based on your requirements (handcrafted vs. handwrought for example) we either carve your design by hand as a master wax or by using CNC or 3D Printing for the master matrix. Master to Production: We make a single mold of your master and possibly a multiple mold if you have higher-volume needs. 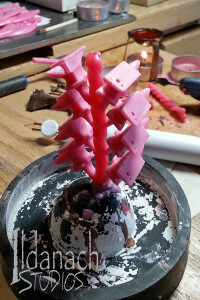 Molds are wax-injected, waxes are then treed and sprued, invested and cast. 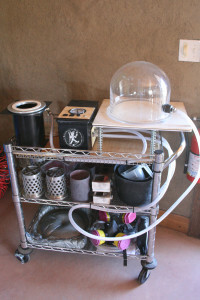 Production is generally determined by how many pieces you need with your project in a dedicated flask and cost follows. Cast & Clip: If you wish to finish your pieces yourself to save cost or are going to be using your pieces in further production, we will clip your pieces off the tree and clean them of any investment. Finished: If you need or want finished pieces, ready for assembly, we will hand-burnish, lathe-polish or tumble-finish your piece(s) based on your needs. Value Added: This service allows you to have a finished product, ready for wear, and ready to be shipped. We will work with you to create just the right look for your line. 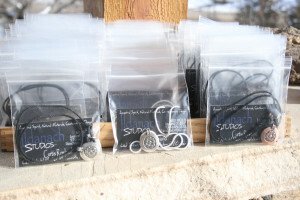 Your pieces are shipped assembled as necklaces or earrings for example, and packaged in poly bags. Need a “ready for gallery” look? Gift packaging with your logo is available as well at reasonable prices.